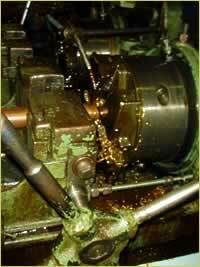 State of the art tools and equipment. Stringent quality control to turn out the best quality possible. A Computerized inventory control system to speed up client inquiries. Superb turn around time to deliver your products in the best available time. Special orders are made when you need them. Our assuruance that you are getting the most for your money. 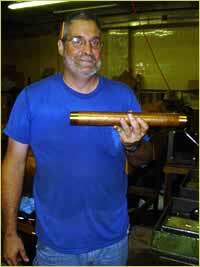 One of our factory managers with a finished brass pipe.